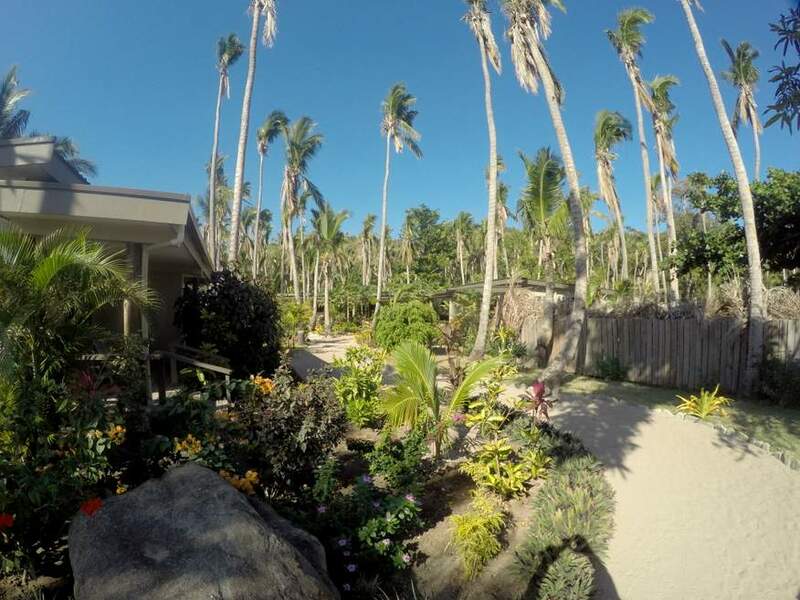 We’re often told that our 7 person dorms (2) are among the best in Fiji. These are cleaned and serviced daily. The dorms are equipped with single beds (no bunks), quality pillows, mosquito nets, bedside tables, lockers and individual reading lamps. They are air-conditioned. Dorm beds are supplied with fresh clean linen, towels and a beach towel on a daily basis. Adults only. Island luxury at Paradise Cove, stunning beach and crystal clear water. 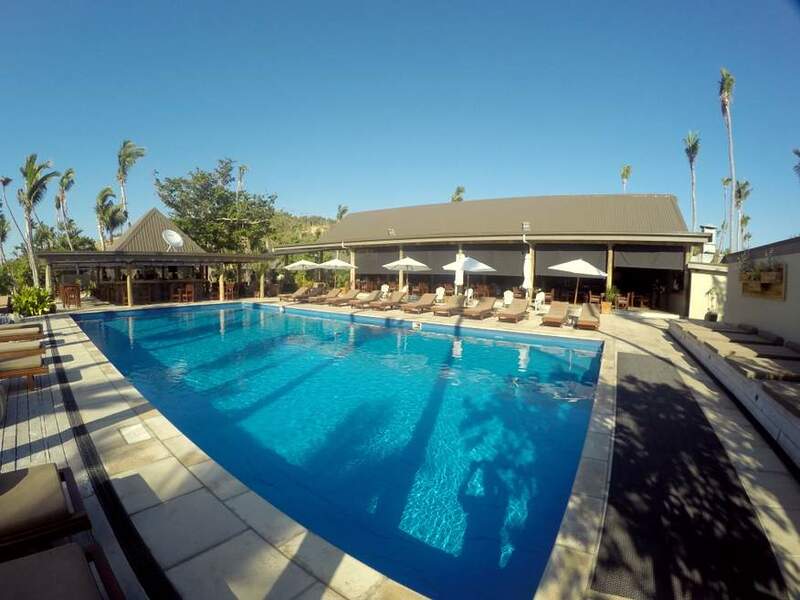 One of the best resorts in the Yasawa Islands. Great discount. 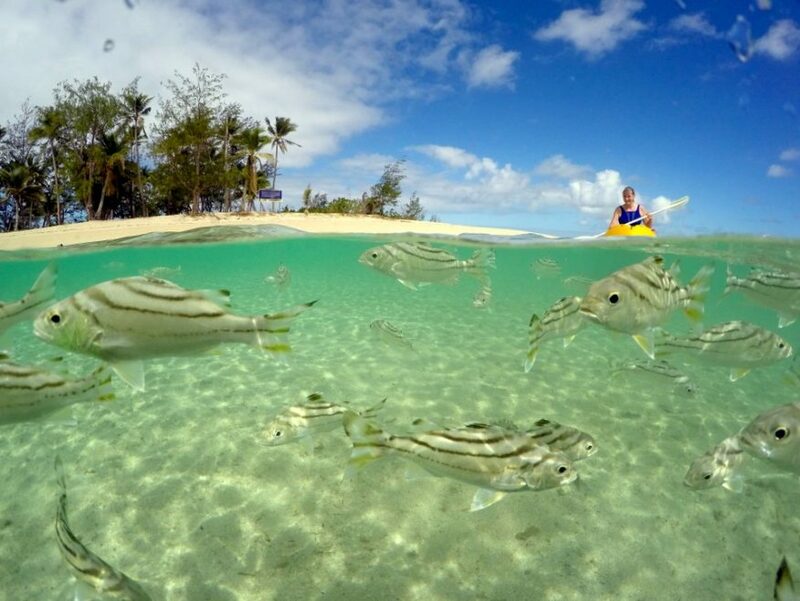 You’ll have a spare day in Nadi, why not go on a great day trip, visit a village and see how the Fijian people really live. If this package doesn’t quite suit or you need more or less days, just email us at info@hotfiji.deals for a quote on a new package. Day 1: Once in the arrivals area at Nadi Airport a friendly Fijian will be waiting for you. You’ll first go to the office located in the arrivals area to check your travel documents. You’ll then be transferred to Oasis Palms where you will spend your first night. 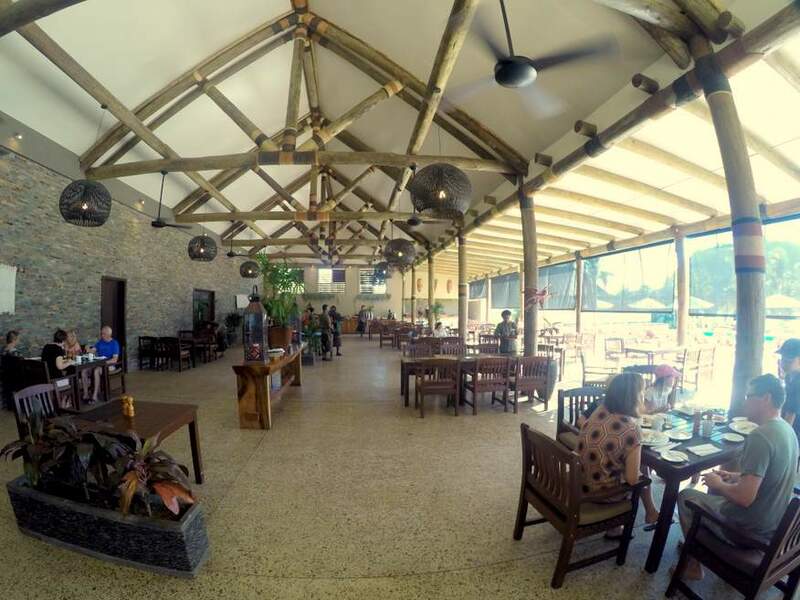 Day 2: Pick up is at 7am from Oasis Palms on the South Sea Cruises white bus which will take you down to Port Denarau. 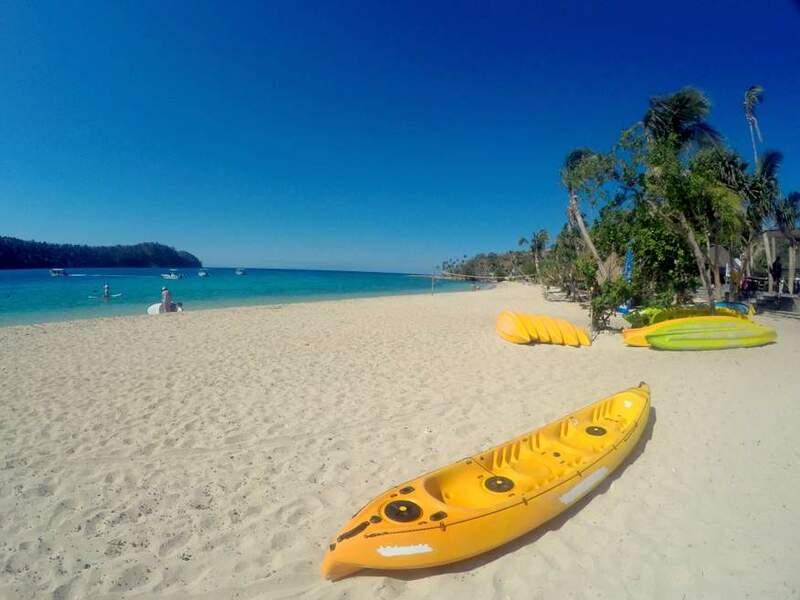 You’ll board the Yasawa Flyer ferry which departs at 8.30am and arrives at Paradise Cove around 11.30am. Day 6: Around 2.45pm you’re be transferred to the ferry then it’s off back to Port Denarau arriving around 5.45pm. You’ll board the same South Sea Cruises bus for your ride back to your hotel. A very spacious, fully air-conditioned room in a lovely quiet garden setting. 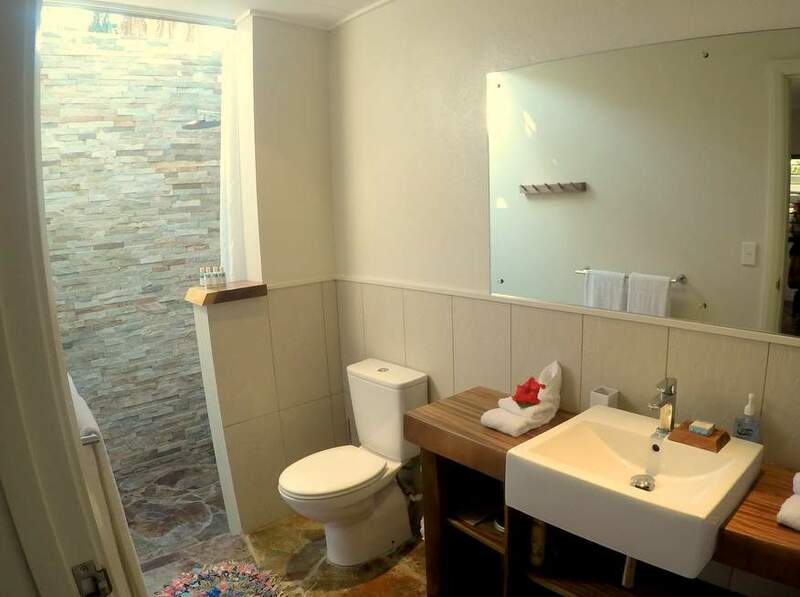 With hand crafted local furnishings and a stunning open air shower in the en-suite bathroom. 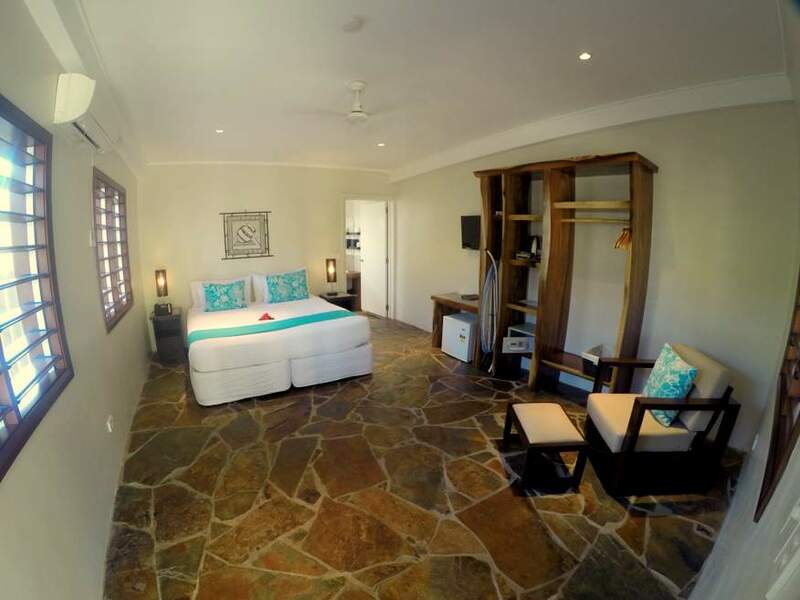 Your room has it's own big balcony with outdoor furniture, over looking the tropical gardens. Includes daily complimentary bottled water, TV, complimentary in room wifi, fridge, and a room safe. We only take a small deposit now and you pay the balance due on arrival at the airport. As soon as you book we'll send you an "Order Pending" email to say we have received this. We then book your holiday (as fast as humanly possible), and send you a second "Order Confirmed" email with all the important details of your order. You'll need to print the second email out and bring it with you or be able to show it on a mobile phone. There are no credit card fees or booking fees on your deposit with us. Payment is secure, look for the green padlock in your browser bar. Your credit card is stored in our booking systems secure vault and will automatically be deleted 30 days after your transfer. We do not have access to your credit card numbers. Prices valid from 1 April 2017 to 31 March 2018. Last minute bookings, please call us. 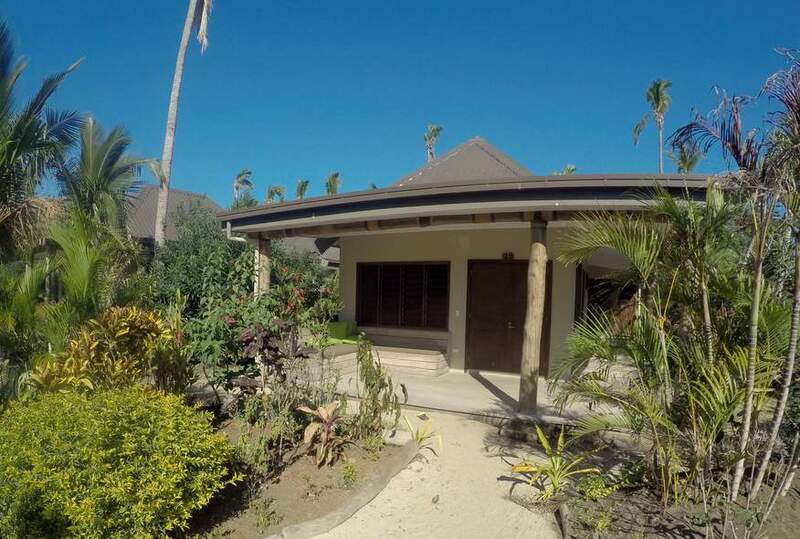 All prices include 25% Fiji Government taxes & levies (9% VAT + 10% Sales Turnover Tax + 6% Environmental Levy). Cancellation fees apply on the total package price: • less than 7 days notice - 100% • less than 14 days notice - 50% • less than one months notice - 25%.